What is the Lifespan of a Bigfoot? How long do Bigfoot live? Do they bury their dead? If so, what do they used to dig the hole? So many questions, and so few answers. All we can really do is speculate at this point. In this video a "back-yard Bigfooter" named Steve gives us his theories on how long Bigfoot lives in the wild. How long do you think Bigfoot lives? Feel free to comment below. His opinion and theory of this topic is OK but has no clear reference to relate or compare. I've watched and followed others who speak more analytical on Bigfoot related topics such as this. I found good information on YouTube channel ecbro98 . They bring up alot of topics explain pretty logically to the best of their knowledge. These are my options and my theories. They're are no experts in this subject nor do I claim to be one. As far as a newbe I have been researching Bigfoot for about 25 years. I have a different opinion. I DO believe the government is covering up information about Bigfoot. I think the government agency-land management has had specimens in captivity and that for financial reasons, they want all their info and research kept secret. Ok. Well that's my opinion. If there were a species of primates living in the us forests. All logging would come to a halt for preservation circumstances. Do you know how many billions the govt would loss if that were to happen. They've already proven that the little green piece of paper is more important then human lives.. So what do you think they care for bigfoot lives? Hence why they dispute their existence even though they know damn well. Don't know about the Bigfoot life span but yours isn't looking to long with all that neck fat dude. Worry about yours not theirs! For real man. Yea I put on a some weight after I was disabled in a accident a few w years ago but I gut had a complete work up and Dr. Says other than the weight and never and spine damage I'm healthy. Thanks for you concern. 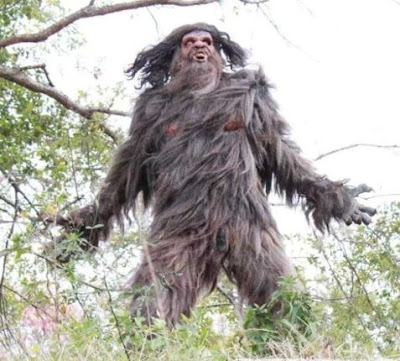 Intuitives, a couple of Akashic Records readers and some Native North Americans have indicated a normal life span of upwards of 120 years for Sasquatch/Bigfoot; which does seem a bit excessive by both human and great ape species standards. But one particular specimen (Old Yellow Top), identifiable by his unique colors, was apparently repeatedly seen around Kirkland Lake in Northern Ontario over a more than 60 year period. Who knows what the truth may be?